Recently, our accounting department spent an afternoon personally visiting everyone in our Community Living program. 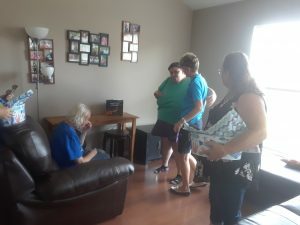 The reason we went on the tour was to meet the individuals that receive our services–that was the high point as we don’t always get to know them or the staff that are at the houses. 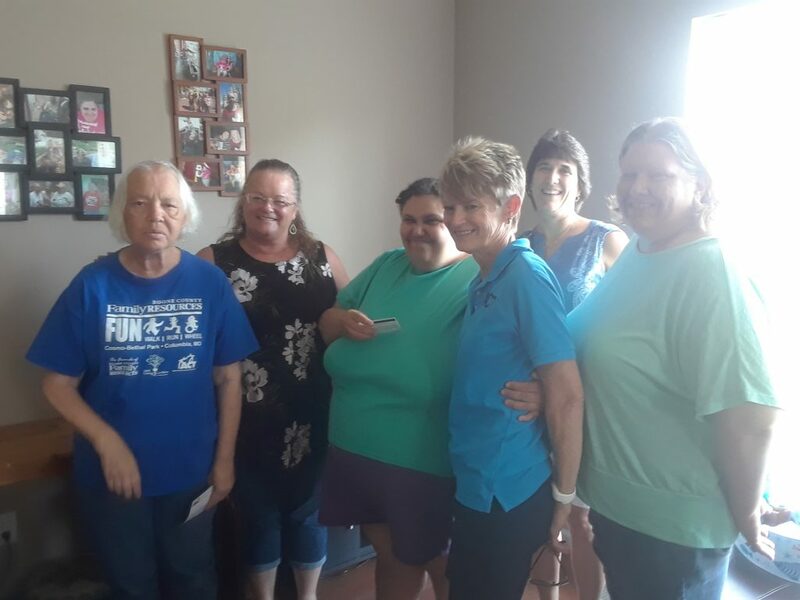 The individuality of each person, either through meeting them or seeing where they live, is also important so that we realize that we are part of the same support team, just in a very different role than the Direct Support Professionals of Community Living. Finance is how we make things happen. Through billing, paying staff, or complying with the vast myriad of regulations–the core of what we do should be the same as our mission statement. My staff are no different than those at the various houses, programs, etc. What better place to work than where you can get a hug when you walk in? Just by saying hi or shaking their hand? We got hugs, high fives, and more accolades for just being there than what we could get all year at the office or at any job! It also teaches us more about a life that can be “removed” from ours. It teaches us that there has been great progress in this field, but there is even more that can be done. Why doesn’t their house have the same comforts as anyone else’s? Is it because they don’t want it, or because a landlord needs to be contacted, or because the funding hasn’t caught up yet? Until we immerse ourselves in the how, the why, and then work towards a solution, it continues. I met Veronica and I wondered how she communicates with her staff. I didn’t have time to ask, but I wondered to myself, “are we doing the best we can?” Her staff Elizabeth made a sensory garden for her, which is fantastic–but we might not have known about that aside from this tour. Not intentional, but when the workload is heavy and the day to day gets you down–it is too easy to lose the vision we should all have. Thank you Melody for sharing your thoughts with us. We appreciate the perspective of someone who is equally involved in our mission and vision, but in a different capacity. It reminds us that we’re all here for the same purpose. We can all contribute value through our strengths. This entry was posted in Community Living. Bookmark the permalink.